DON'T WORRY YOU DIDN'T MISS THE SWEETNESS. ONLINE IS CLOSED, BUT YOU CAN STILL REGISTER ON SATURDAY, NOV 10TH AT RUNNERS ROOST LAKEWOOD LOCATION FROM 10 A.M. TO 3 P.M. OR EVENT DAY STARTING AT 8:30 A.M. WEATHER NOTE: EVENT WILL TAKE PLACE RAIN, SHINE OR IN THIS CASE, MOTHER NATURE WANTS TO BE PART OF THE SWEET DAY AND MAY SPRINKLE US WITH SOME POWDERED SUGAR (SNOW). RAIN, NOR SNOW, NOR SLEET WILL STOP THE SWEETNESS. What is sweeter than candy? The Great Candy Run of course! 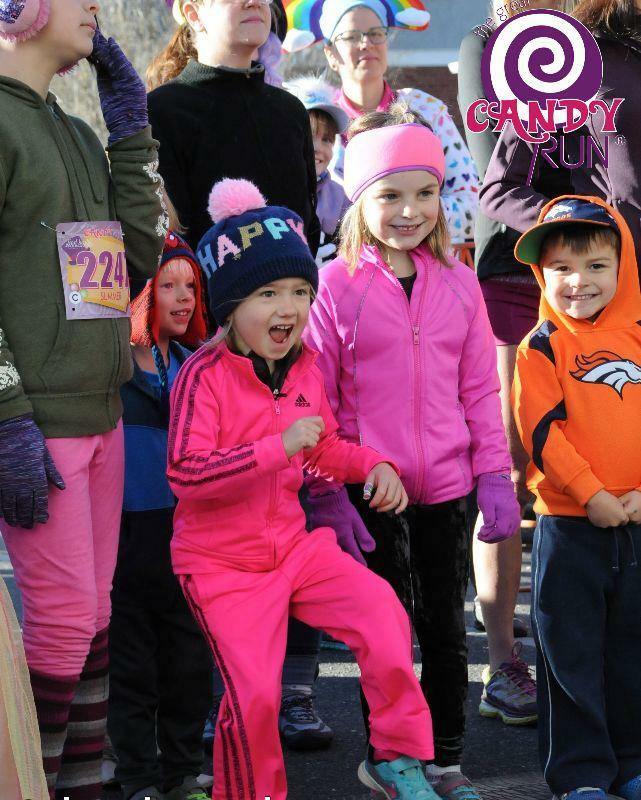 Celebrating its 15th Annual event, we invite you to get your SWEET on at Colorado's Running Magazine event winner for #1 5K, and #1 Run for Kids!!!!!! The Great Candy Run is ultimately about saving lives and helping families. Proceeds directly benefit the Fetal Health Foundation. The Fetal Health Foundation supports families battling a fetal syndrome during pregnancy through information, support, and research. The event highlights awareness and provides hope to families. Friday, November 9th from 12PM - 6PM at Road Runner Sports in Lone Tree**. The address is 8457 S Yosemite St b1, Lone Tree, CO 80124. Saturday, November 10th from 10AM - 3PM at Runners Roost in Lakewood. The address is 7978 W Alameda Ave A, Lakewood, CO 80226. *If you can't make it to either of these locations, you can pick up your materials on race day starting at 8:30AM on the lawn of South High School.